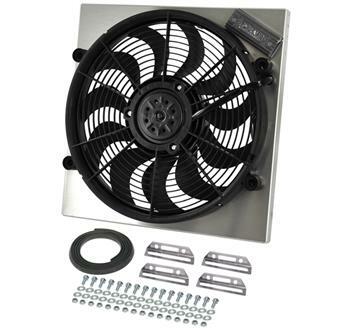 Derale Electric Fan PowerPack - PWM UNIVERSAL - Dezod Motorsports Inc - Home of the automotive performance enthusiast since 2002. Get complete control of your engine temperature! 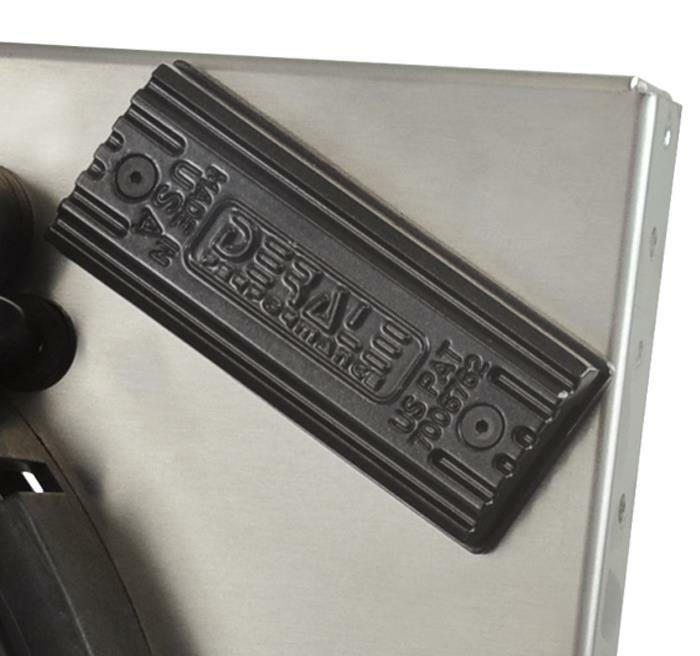 Derale Performance has integrated their high performing shrouded Powerpacks with the ultimate fan controller. Using a high output electric fan incorporated into an engineered shroud, this Powerpack can conquer even the most difficult cooling conditions. This unit features an aluminum or steel shroud offering a precision fit. 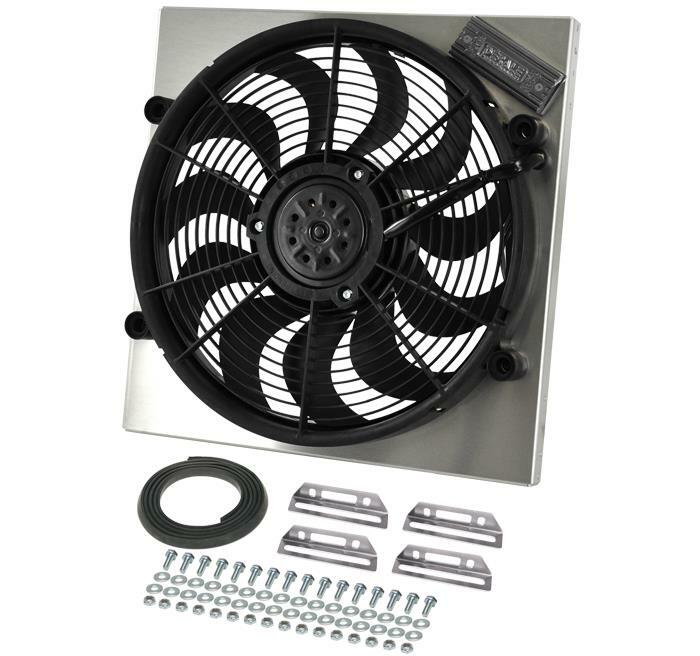 This high output two speed fan is one of the best in our line-up offering up to 4000 CFM and is specifically designed to thrive on thick, tight fin radiator cores. Now add the integrated PWM Fan Controller with built-in soft start technology. The controller utilizes Pulse Width Modulation to constantly adjust electric fan speeds from 0-100%, maintaining the optimal engine operating temperature. No more reacting to the engine temps, you can control it! This allows the electric fan to operate at the percentage needed, instead of 100% all the time, therefore increasing component life and eliminating amperage spikes.